KISHORE AND SMITA IYENGAR waltz with the distinctive bouquets and distinguished flavors of premium world wines and the diverse fragrances and exotic spices that highlight authentic, princely Indian cuisine. There are eight magical natural ingredients that enhance both traditional Indian cuisine and perfumes. We discovered their magical role in making both among the most sought after eclectic indulgences in the world! India’s fragrance tradition was born in the Vedas (nearly 8000 years ago) as was the world’s oldest system of holistic medicine – the Science of Life called Ayurveda. ‘Attar’ or non-alcoholic oil concentrates are leitmotif Indian fragrances. In this ancient treasure house of exotic indigenous woods, herbs, spices, and flowers, there are eight ingredients from among these that unite both worlds – flavor and fragrance. The legendary partnership of the olfactory with the taste buds commands these common denominators of food and perfume enhancement. Classic and cherished, diversely fascinating Indian cuisine specialties are brought alive with these eight magical aromatic ingredients, also a part of the age-old, time tested repertoire of Atul Gundhi, one of India’s most prolific, living perfumers of the legendary two-centuries-old Indian traditional perfumery Gulabsingh Johrimal. We unveil the mystical and mesmerizing symphony of such scintillating princely Indian dishes with some of the world’s finest premium, aromatic and award winning wines through their magical matrimony of scents and flavors! India being the historic ‘home of spices’, their sheer variety and health giving benefits are legendary. Clove, one of the most potent of all spices, forms the dominant ingredient in many exotic dishes like the tantalizingly smoky ‘Nihari Gosht Khaas Awadh’ that has tender juicy pieces of succulent mutton simmered in it’s own juices cooked on Dum (slow fire) at Kabab Hut at the deluxe five star Hotel Sun-N-Sand, Mumbai – a unique landmark for ‘Dastarkhwan E Awadh (royal ceremonial dining experience of the ancient Sultanate of Awadh) that includes delectable grills. One of the finest meat dishes, in this jewel, cardamom has its age-old role to play in Indian cuisine master created by erudite Corporate Chef Gautam Meherishi. While black cardamom is generally used in ‘garam masalas’ (mélange of powdered spices used to flavor curries and other dishes), green cardamom has its equal role in flavoring. The opening wine with these royal jewels is a finely chilled Freixenet Mia Red from the Tierra del Castilla region in Spain. Velvety smooth flavors, blackcurrant, plum and cherry tones, aromas of orchards create magic with the meat dish. 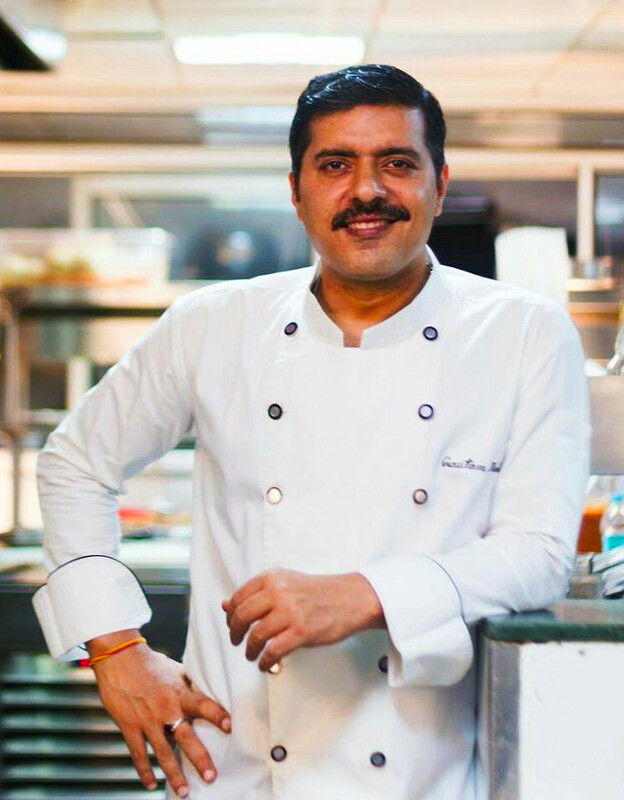 Chef Gautam’s signature ‘Nihari Gosht Khas Awadh’ is enhanced with exotic aromatic spices like Khus and Anise, a must savor! Gleefully matching this exquisite dish is outstanding premium wine displaying robust characteristics. The superlative Pampas del Sur Shiraz-Malbec combo from Argentina works wonder on our palates with fresh fruity notes, excitement of roasted coffee and smoky wood, well rounded medium bodied structure. The wholesome and comforting ‘Taftan’ (leavened bread) has its fair share of cardamom forming a smooth, tangy carpet on the palate. 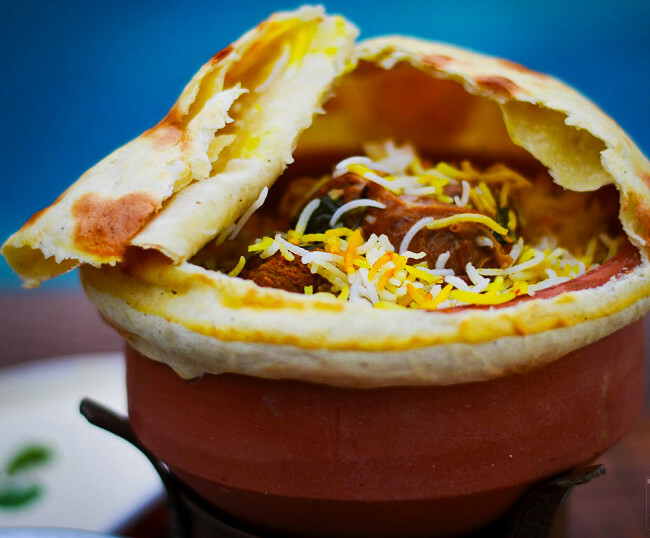 Cinnamon, the ‘prince of flavors’, is again a principle ingredient of garam masala for Kabab Hut’s mouth-watering fare. The ‘Dum Prawns Biryani’ and ‘Dum Murgh Biryani’ – Basmati rice cooked with tender fish or chicken pieces are a must have at Kabab Hut, the aromas mesmerizing the palate with uplifting appeal. Along with enticing spices, they are amply graced with Anise and Khus (poppy seeds) to uplift their irresistible aromas. Marrying the enticing flavors are two irresistibly appealing wines – the blue blood Banrock Station Shiraz from Australia with stupendous tobacco aromas, dark coffee, blackberry, black pepper tinge, leather and strong tannins in exhilarating complexity. In conjunction, the Nederburg Winemaster’s Pinotage exhibits handsome velvety flavors through a decided plummy and blackcurrant palate, soft tannins and smooth finish. Atul Gundhi, on the other hand, boasts of three ancient attars – ‘Hina’, ‘Shamama’ and ‘Mushk-e-Ambar’. These brother fragrances, favorites of the ‘Nawaabs’ (Muslim royalty) are known to be historic winter scents for their incredibly warming effect. Each of these is a marriage of over a hundred exotic spices including cardamom, cinnamon and clove over a rich sandalwood base. Pandanus Odoratissimus or Kevda is a flower that grows only in India along its south eastern coast. The fragrance is mystical, exhilarating and light. Kevda oil and water flavor varied dishes the exotic biryanis spiced with exquisite herbs. Kevda provides eclectic refinement, leaving its gentle touch on the palate. Saluting the culinary fragrances with their striking tributes are two grand wines, an enchantingly aromatic Framingham Classic Riesling from New Zealand with its striking green tea, tangelo, honeysuckle bouquets juxtaposed with flavors of stonefruit, tangy ginger and honey, a beeswax lift on the tongue! The grand Casillero Del Diablo Merlot from Chile’s Central Valley opens the olfactory with chocolate, heady spices, hazelnut and distinct clove, the flavors uplifting with a velvety texture. The ‘Subz Galawati Kabab’ leaves you appreciating the magic of blended condiments like cardamom, mace, saffron, Gautam masala (the chef’s own secret), poppy seeds, cinnamon and nutmeg, as the minced assorted vegetables cooked in royal Nawabi style score a ten on your taste buds. This dish pairs superbly with two outstanding world wines, first a Ventisquero Classico Carmenere from Chile with exalting strawberries, cherries, striking vanilla on the keen senses. The wine opens out grandly with medium tannins. The superb Zonin Montepulciano D’Abruzzo DOC is a granddad among Italian reds with cigar notes, burnt wood and raw hide on the nose, the heady tannins lend to a suave truffle and dark chocolate palate. While sandalwood provides a firm framework, Kevda the light and soft attar is a summer scent that has a cooling effect, providing relief from the scorching Indian heat. ‘Benazir’, another classic floral blend embodies soothing Kevda with complimenting jasmine and musk. The king of flowers, the Rose, finds its place in Indian cuisine and fragrances equally! Powdered rose petals are used for their aromas and to marinade meat, Lucknowi Kormas, to soak saffron and in ‘sherbet’ (sorbet). Indian roses are small and intense with a double row of petals. The famous ‘Kakori kebab’ with meticulously hand pounded saffron, cloves, potli masala (spices in a cloth pack), mace and nutmeg, Khus (poppy seeds), green cardamom, black cardamom, rose water and Kevda is reminiscent of the royals. While rose water (‘Gulab jal’) has ritualistic and culinary significance, the exorbitant ‘Ruh Gulab’ ( pure rose extract) and ‘Attar Gulab’ (distilled rose over sandalwood oil) are evergreen Indian perfumes. 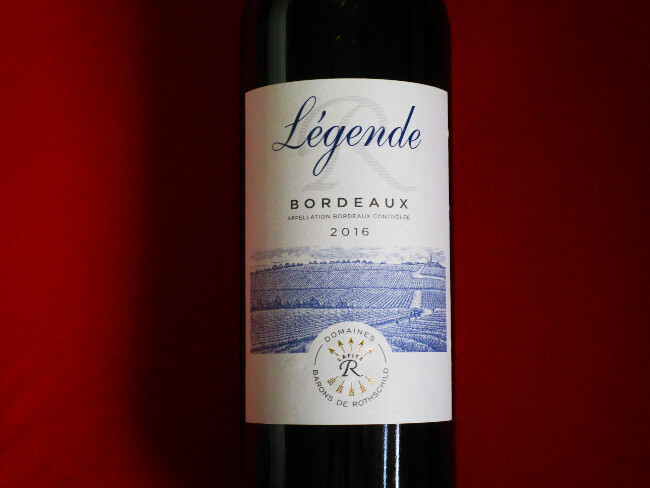 The exemplary red wine, Domaines Barons de Rothschild Lafite Legende Bordeaux Rouge, France salutes these grills with its complex and truly elegant characteristics, roasted almonds, dry figs, macadamia and licorice standing out, a great, long finish. Ace perfumer Atul Gundhi’s ‘Oud Rose’,‘exotic rose’, ‘Shahi Gulab’ and ‘Fasli Gulab’ are passionate adorations to the rose and are a favorite of the devout and the romantics alike! 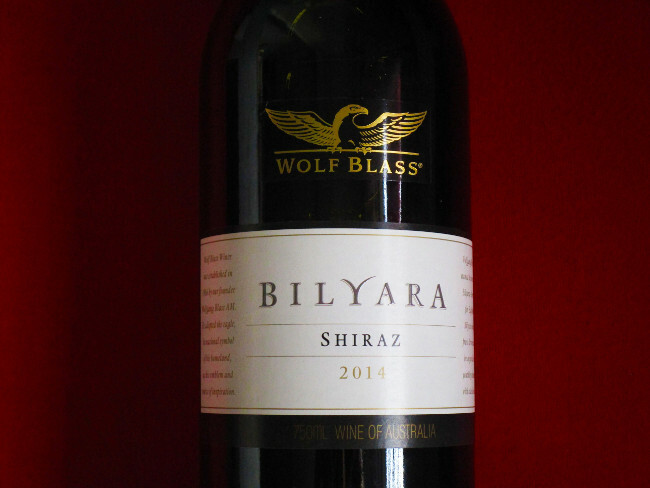 Wines that salute the floral monarch are a Wolf Blass Bilyara Shiraz from Australia, the subtle oak, spices (cinnamon) and burnt tobacco are distinctive on the palate and nose. Wow wine, that! Coupled with the princely Zonin Ventiterre Valpolicella, a complex and sturdy wine with musky attributes, assertive nut flavors and woody finish. As royal as it can get, saffron is an essential ingredient in Arabic, Turkish, Persian and Indian cuisines. Saffron strands are soaked in a bit of warm water to infuse as they lose their flavor after a month. Mughal cuisine with its kormas and biryanis generously use saffron. Corporate Chef Gautam Meherishi’s mouth watering grilled wonder ‘Jhinga dum Nisha’ packs in saffron, cardamom, sesame, cinnamon, white pepper and clove to enchant your tastebuds to the hilt! His other super oven-seasoned wonder is ‘Murgh Surkh tikka’ with saffron, green cardamom, Kasuri Methi(dry green aromatic fenugreek leaves), cumin, black pepper, yellow chilli and garam masala (mixed spices). The spice jewels unfold one after another in a sensory unison, adding verve to the piping hot delights. 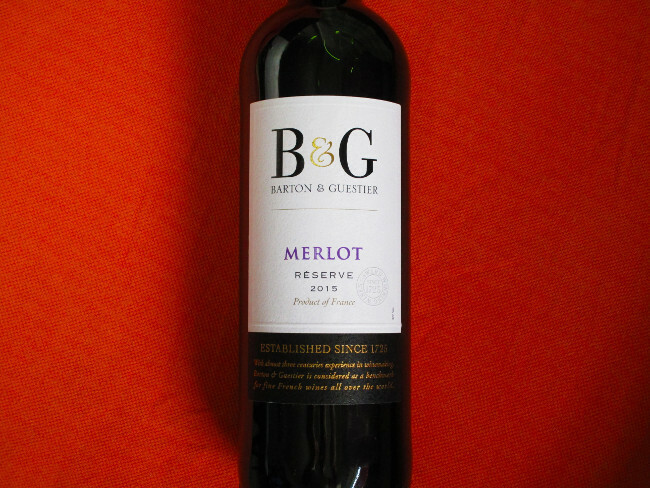 Marrying these intensely appealing dishes are two grand red wine labels of exceptional accomplishments – a B&G Barton and Guestier Reserve Merlot from Languedoc region-France with fruity and coffee notes, strawberry marrying aniseed in hints, superb wine. The really classic Castello di Bossi Chianti Classico DOCG – Sangiovese is a masterpiece in winemaking, the oak, ripe cherry and violets lend strength remarkably while intense palate of Cuban cigar and wet earth linger on. 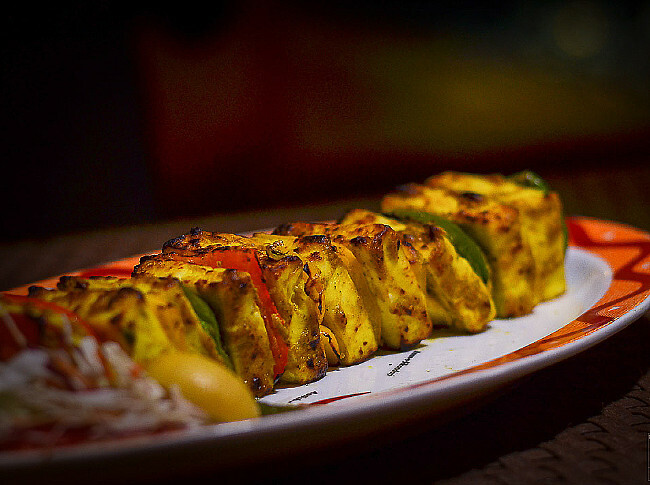 Try out the fabulous Kabab Hut ‘Shammi kebab’ enlightened with cardamom, cinnamon, cumin and dry ginger. The flavors are superlative. The remarkable ‘Murgh Afghani tikka’ is a hearty mix of saffron, white pepper, cardamom, fenugreek and garam masala –the chicken literally doing the aromatic vanishing trick. We’d strongly recommend the outstanding ‘Mahi Tikka Lahsooni’- very delicate fillet of Basa in a mustard garlic marinade and char grilled. The aromas overtake your appetite as you relish the smooth sensation. Two fine robust red wines make their mark with these delicacies. A boutique marvel called Cavalli Tenuta Le Redini from Tuscany, Italy with intense flavors, strong grape character and assertive length that rules along the firm tannins. The second label, a Jacob’s Creek Cabernet Shiraz from Australia exhilarates with peppery tones, berry hints, cedar wood and musk notes. The sweet encore ‘Zafrani Sakori Phirni’ (age old traditional milk and rice pudding with almonds and saffron cooked in an earthen Sakora), is an all-time classic desert which works wonders with it’s eclectic flavors that linger on. The top wines that compliments it are a bouquet of labels. A Neil Joubert Sauvignon Blanc from South Africa offers pineapple bouquet, nectarine and peachy fragrances that invite the keen palate. The Maison Albert Bichot Nuit-Saint-Georges Pinot Noir from France matches perfectly well also, with superb wet soil, clove, cinnamon and light anise flavors. On the other envil, a fine Pampas del Sur Chardonnay-Chenin from Mendoza Valley, Argentina whips up excitement in the white blend that scores with white lily, green apple and distinct guava palates. Pleasingly poignant. Atul Gundhi’s signature saffron masterpieces include Arabesque blends. ‘Fitrat’, a classy sandalwood, musk, oud, rose and saffron woody floral, ‘Shabab’, ‘Sharara’ and ‘Zubeida’ with headline notes of saffron and sandalwood, palmarosa, musk, amber, vetiver and bergamot. One cannot underestimate the synergetic zing these fragrances create in sync with Kabab Hut’s grilled culinary princely wonders and distinguished world wine labels. We highlight this in a fabulous label here. Signing off with a grand Chateau de Fontenille Entre Deux Mers Blanc AOC Bordeaux from France, the super wine displays white peachy seduction with lightly peppery and citrusy flavors going onto a clean and crisp acidic linger. Sante.